Mega beauty brand Glossier is stepping into new waters today with the launch of its uber-playful color cosmetics line Glossier Play. Four just-released products—a multipurpose glitter, liquid highlighter, lip lacquer, and eye pencil—come in a wide array of vivid, dramatic colors that make makeup fun. 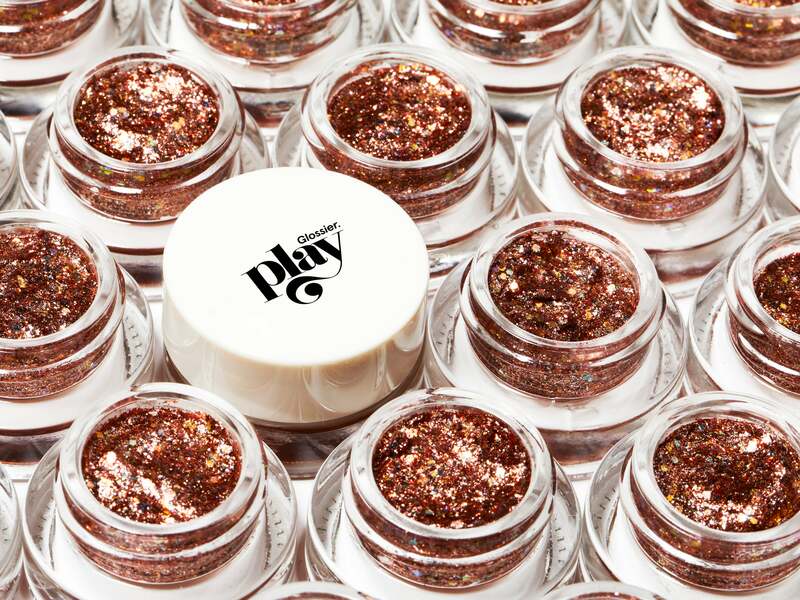 The standout of the collection is the Glitter Gelée, which comes in four shades. The most notable of all is “Firewalk,” a coppery hue that’s evocative of Pantone’s 2019 color of the year, Living Coral. The warm color lends a summery feeling to eyelids, cheekbones, and lips—essentially, wherever you want to apply it. When Pantone first announced the hue in December, it described the shade as “affable and animating,” which is honestly exactly how we’d like our makeup to make us look. Glossier Play is a departure from cosmetics (like the brand’s fan-favorite cloud paint blush and recently reformulated Generation G lipstick) that create generally natural-looking, subtle beauty looks. With its new line, the cult-favorite company enables its customers to have fun with color, get a bit more experimental than they might typically, and consider wearing a glittery eye look or an elaborate eyeliner design on any ordinary day. Maximalism, after all, is totally in. Glitter can actually be foolproof: Just swipe a bit of this onto your eyelids using a clean finger for a romantic, sparkly look. For a more intense look, switch your matte lipstick out for this vinyl-effect lip color, offered in six hues. With 14 different shades offered, this gel liner can be used to create dramatic cat-eyes. The liquid formula of this highlighter allows it to be incredibly buildable; if you want an intense shine, layer it a couple of times.